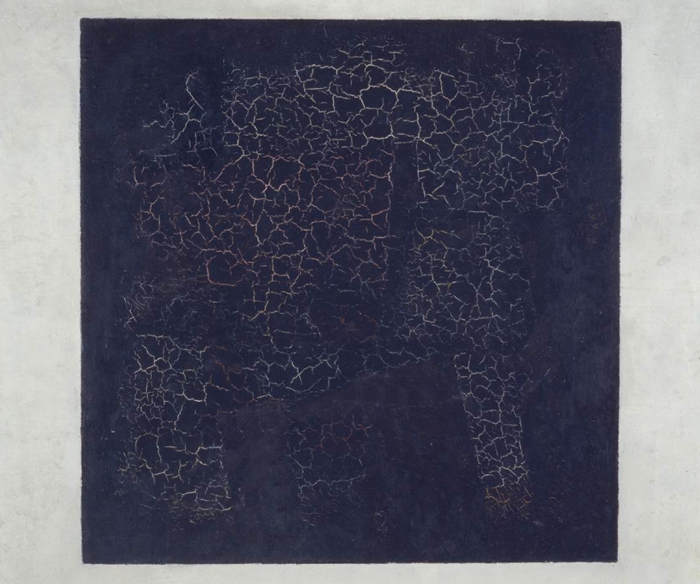 Are you a fan of a world-famous Malevich’s “Black Square” painting? 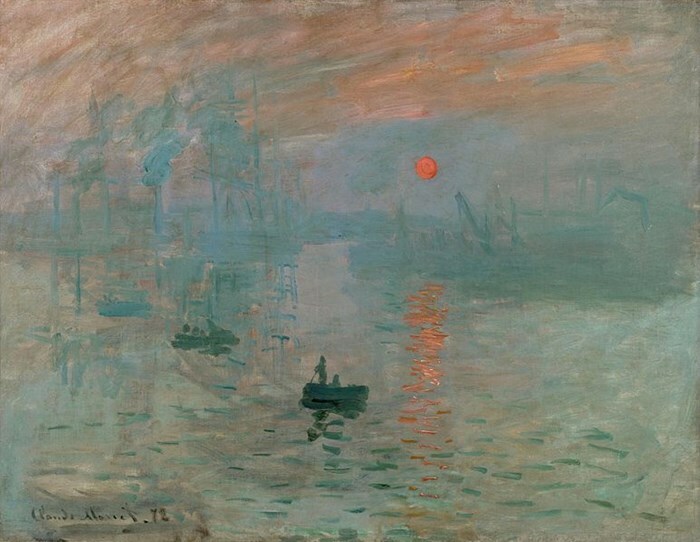 Or you prefer to immerse into countless shades of “Impression, Sunrise” by Claude Monet? Which one, in your opinion, is associated with genuine creativity: minimalism of abstract art or bright emotional scenes of impressionism? Though it’s a matter of taste, a matter of creativity is the main for all artists. This is what make them standout and memorable. But in these times and days, do all care about achieving the appropriate image of authentic self in presenting the works online? Many true creatives like to say that a website is just a frame for the artworks, so it’s not that important (are you among them?). It’s true, but this exact “frame” can complicate or spoil the perception of your works if it’s too distracting or too bright, for example. On contrary, a wise website design can even increase a happy user experience. 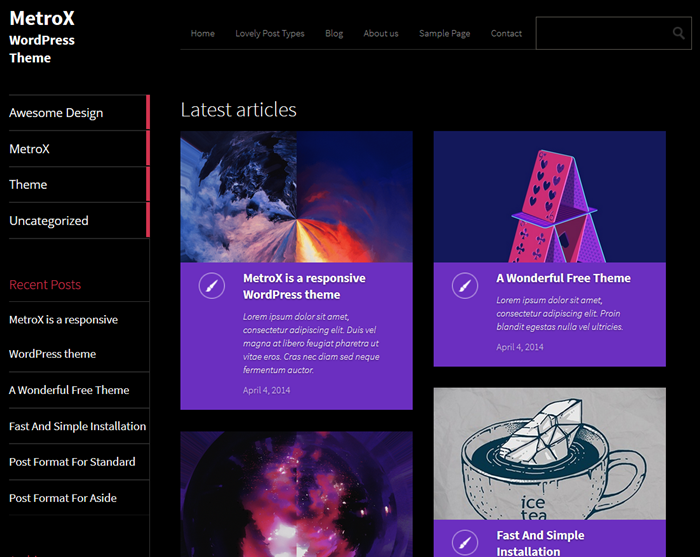 In WordPress space artists may feel safe as there is a huge collection of unique customizable themes that are able to reflect (or at least not spoil) their ideas and style. 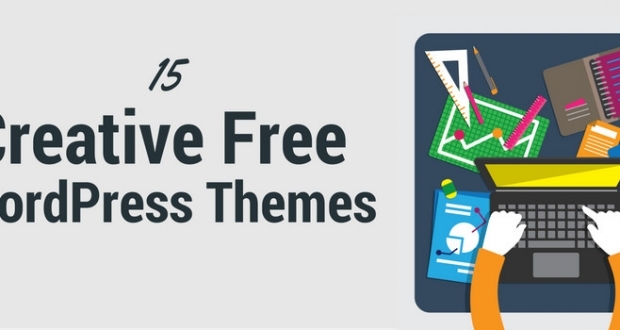 Moreover, there are plenty of free themes that can become their successful starting point. And some good ones are waiting for you in this roundup. themes with animation and Parallax effects for smoother navigation and better user experience. The fans of academic art and Baroque style, graffiti artists, painters, photobloggers, sculptors, designers and other creatives should be able to find a design for their WordPress needs in the collection below. Just try! 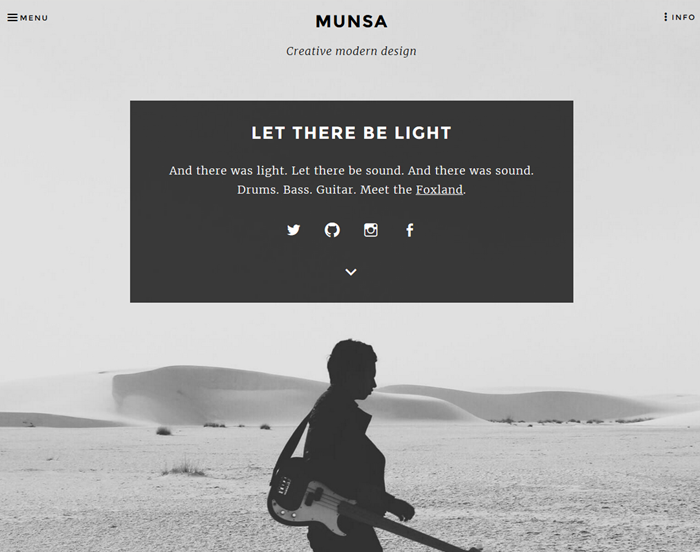 Munsa is an ultra-clean theme for artists. 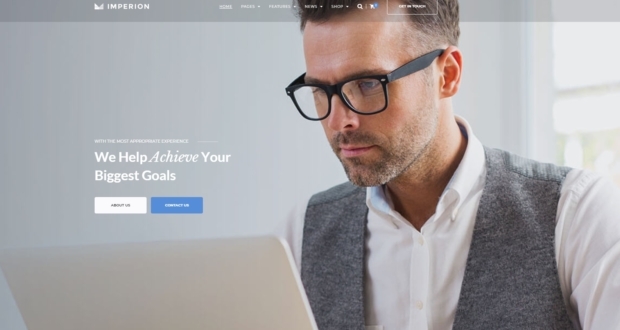 At the first sight, it looks more like a blogging theme with the option to feature all your works along with the text content. It comes with a stylish header with a fullscreen background image, clean typography, creative coming soon page and hideable menu. By default, it also comes with a built-in Twitter widget. Unfortunately, background colors, footer and some other options are customizable only within Pro version. Sketch is one more clean and bright theme by Automattic. The upper featured content slider is a great solution to present your favorite crafts. The template can serve to showcase any type of works – paintings, photos, graffiti, fonts, and any designer’s works. A white clutter-free background and grey fonts are perfect for artists who stick to minimalism. With this theme you are free to update the site logo, transform the front page into one or two-column, add a sidebar, etc. The theme also comes with a full set of creative social share icons so you don’t need to implement them additionally. The default concept of the theme is a portfolio of the food photographer. But is there any artist who is interested in one niche only? Change texts and put your works to get a professional creative portfolio which will reflect your individuality. Thanks to multiple color schemes, you can turn this dark theme into a light one. Each image comes with hover effects so the text doesn’t cover your photos by default and users are able to concentrate on the works only. Orvis is a great choice for minimalists, is very elegant and user-friendly. The theme is also also very reliable and flexible in terms of customization: it extracts your files from the content and displays it in a full width on a single portfolio page – people love to see the works in details and full width/height solutions are just perfect for these purposes. The theme is supplied with a detailed guide and recommendations of how to get the most of it. It looks like Artwork theme was created by artists. 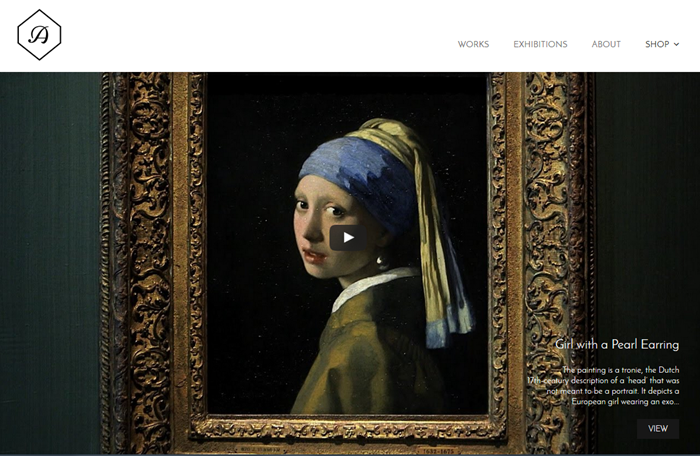 It comes with a unique mysterious feeling and so perfectly meets the needs of fine art fans and photographers: in particular, wide-screen/full-screen layouts for images so each detail is easily previewed, a variety of colors, an absence of distracting elements, small areas for works’ descriptions, smooth parallax effects. The theme can perfectly serve a personal artist or photographer portfolio, online art gallery, art or travel blog, and every niche where you want to focus on high resolution images and blogging. From the technical standpoint, it’s also very reliable: all options for non-techs (built-in premium plugin for drag-and-drop editing), visual editing of the front page via the WordPress Customizer, Google fonts, a variety of post formats including video and gallery, etc. The theme is also compatible with many popular plugins, including WooCommerce. 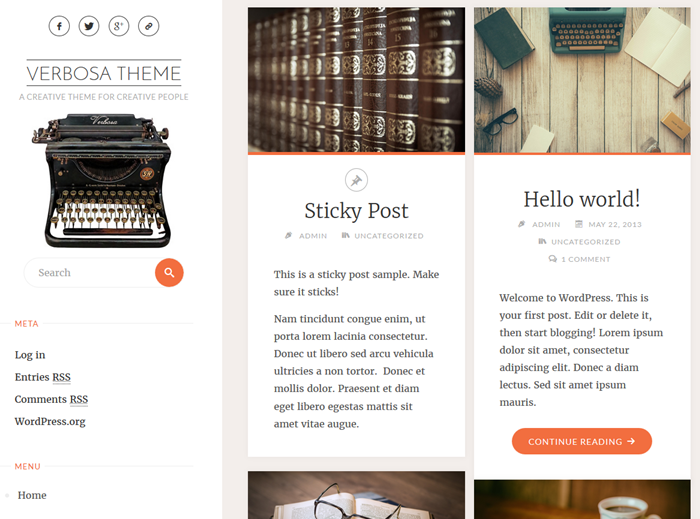 Verbosa is a great theme for artists who plan to show artworks and tell the story of each. 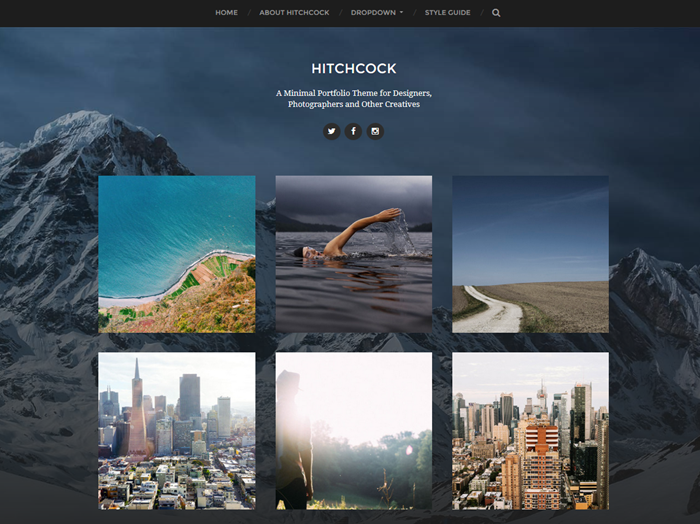 The theme can also serve travel photobloggers, designers and other creatives. It comes with a handy left-hand sidebar menu and the option to change its location, drop-down menu, Google fonts, social menu icons, easy frontend customization via the WordPress Customizer, and great typography options. 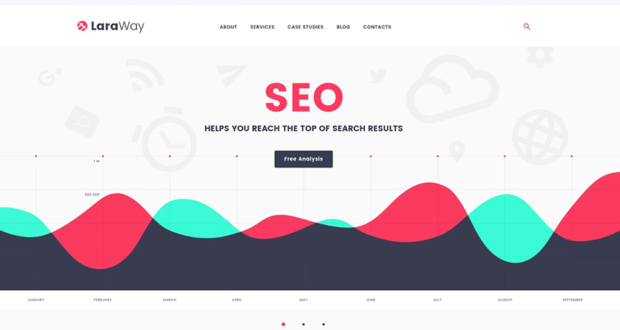 The theme is also claimed to be a highly SEO-friendly and lightweight. The theme’s name speaks for itself, but it also sets no limits for painters, sculptors and designers in presenting their works. Just like a business theme can be used for absolutely diverse business niches. You can feature your main works in the header slider (it uses the Featured Content module of the Jetpack plugin) and the rest of them in blog. It’s also up to you whether to make the main emphasis on the images or text content. The theme by default comes with classical red and black colors, which look very stylish. The theme supports several post formats. It’ll be easy for the readers to use your site as the layout with a search bar, tags and categories is well-known. 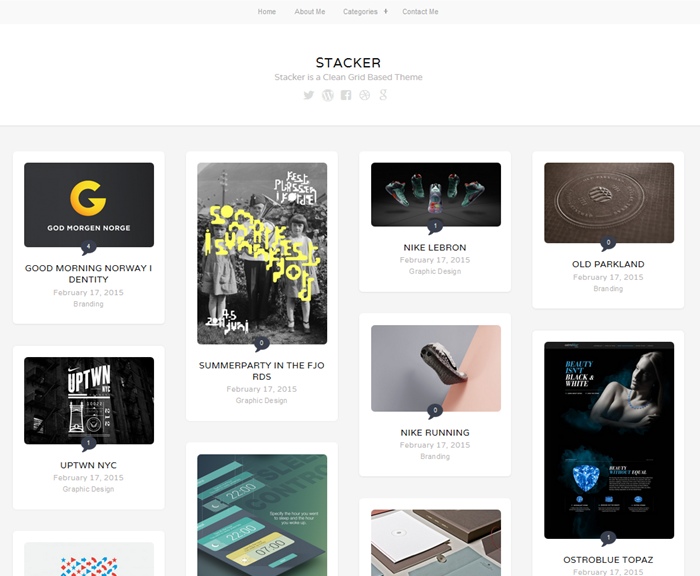 A stylish and minimal portfolio theme for artists, designers and photographers. 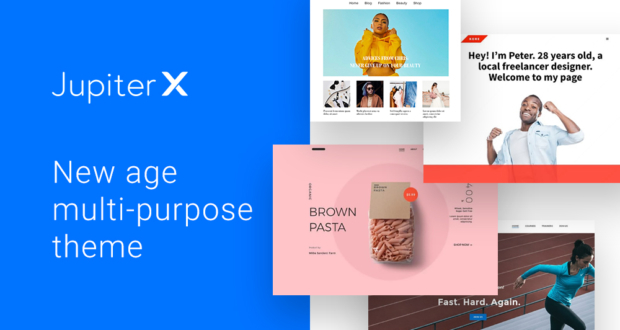 It’s rather modern with cute hover effects, perfect complementary colors, and default contrast of dark background and light content area – these are great features for increasing user experience. A lot of options that are very often paid in many themes, are given for free within this one. The template is perfect for featuring all your works on the front page and telling more about each work if needed on the read more page. Hitchcock also comes with Jetpack infinite scroll, adjustable accent colors and the option to set a custom header image. Gallery post format is also supported within this theme. If you are looking for maximum images and minimum texts, this theme will be a great solution for you. It would also suit the needs of graffiti artists or contemporary art representatives. Feature all your images and categorize them for quicker search and the leave visitors happy with attractive design and handy navigation. Each work’ description can be easily previewed when hovering the particular image so there is no need for the readers to go to the read more page. In any case, if they want to read the whole story, it will be available on the standard read more pages with the image. Moreover, you can change the theme layout if you stick to more narrow or more wide ones, update social links, buttons, colors, etc. The appearance of the front page can be customized in the live preview without efforts. The theme is WooCommerce and child-theme compatible. 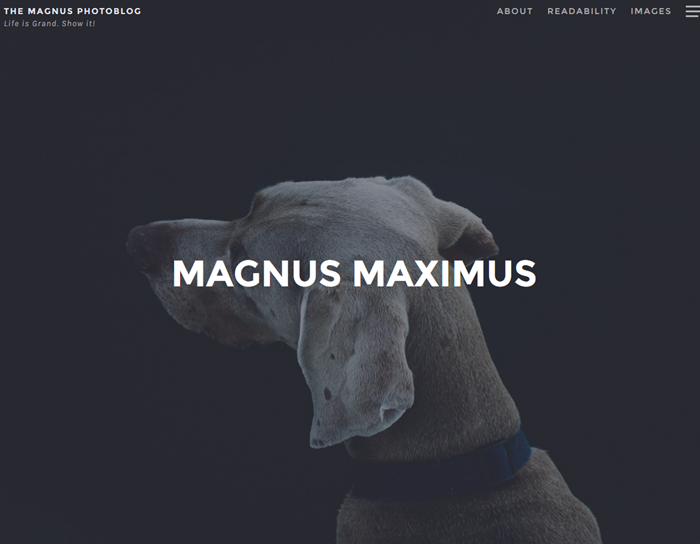 Magnus is great. This is how the theme name is translated from Latin. 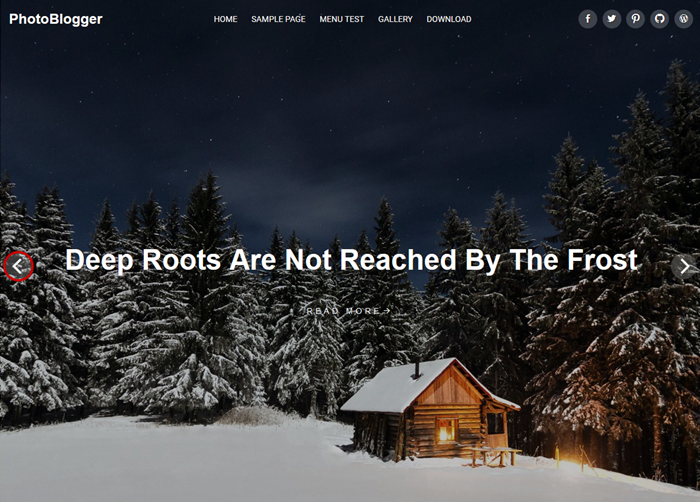 And it’s really conceptual WordPress theme for artists, designers, photobloggers and other creatives. Its main concept is full-screen images so much loved by artists who want to boldly present their crafts. With this theme users who can literally immerse into your works. The theme is very harmonic: Karla fonts for paragraphs and Montserrat Google fonts for headers perfectly complement design of the theme. Smooth navigation effects based on CSS3 animation provide the users with unforgettable experience. 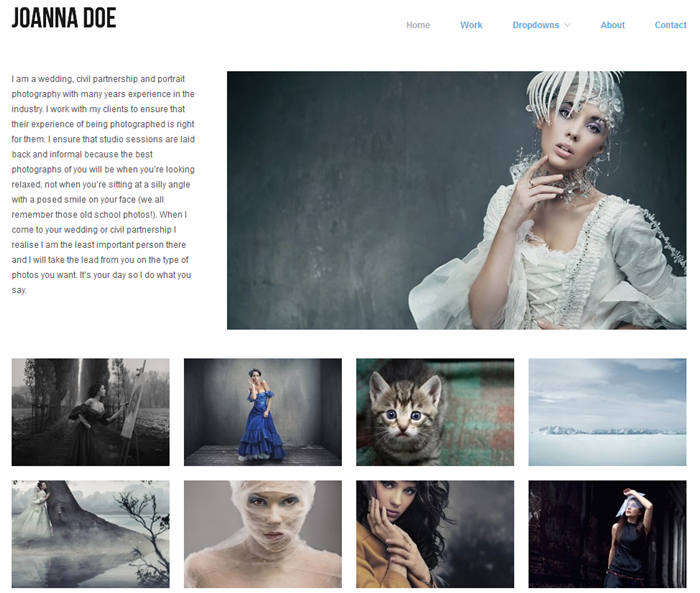 Photographer is a very creative WordPress theme for photographers and other artists. It offers a full-screen header slider to put the needed works into the spotlight, thumbnails of highlighted works with titles, unique layouts for the rest of the works and a grid gallery (with up to 4 columns). If all this is too much for your website, you can leave just the most needed content modules. This theme can be also used for presenting works, services and events of the art gallery or a group of artists. The theme is very memorable, so you may rest assured that the visitors will be impressed with its creative structure and your unique works. 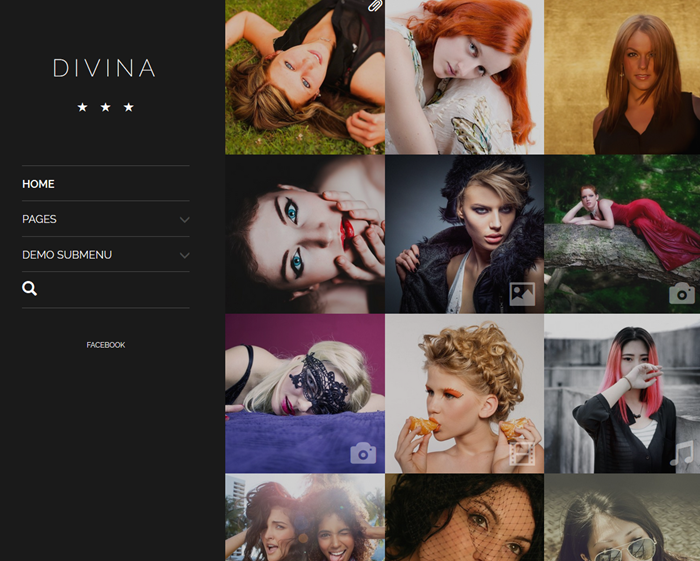 Divina is a beautiful dark-style WordPress theme to put all your works in the spotlight. Apparently, the theme creators wanted to make the main emphasis on femininity in design, but the images is what creates this unique atmosphere, so your particular collection, be it nature images or male photos, it can provide absolutely different experience for your readers. The theme is perfect for featuring works of contemporary art, designer portfolio, modeling agency, or any art-related fan blog. This theme is a great solution for artists who have the works of different sizes and want to put the title and description along with each. The masonry style layout of the home page will help you automatically get perfectly structured layouts for showcasing your images. The theme allows to put each work into an elegant frame and customize the amount of columns in the grid. You are also free to change theme colors via a visual WordPress Customizer and update the main content and design with its help. Half-transparent social icons look really stunning. All the ratings from users are primarily high. 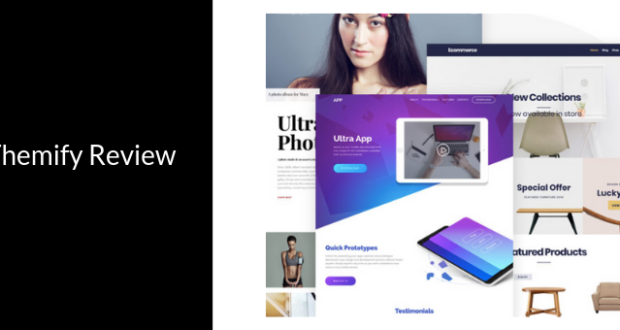 MetroX is a very stylish dark WordPress theme with a variety of post formats, creative icons and, of course, perfect layouts to feature your works. It foremost can serve the needs of contemporary artists and designers. Apart from images only, the theme allows to present the works in other available post formats like video, audio, quote, etc. MetroX also comes with a lot of bright colors which look stunning on the black background. The theme is fully responsive and well-documented. A beautiful minimal theme with rather classical layouts and perfectly structured grid. It’s a great choice if you want to show all your crafts at a time with an ability to preview each particular theme on its single page. 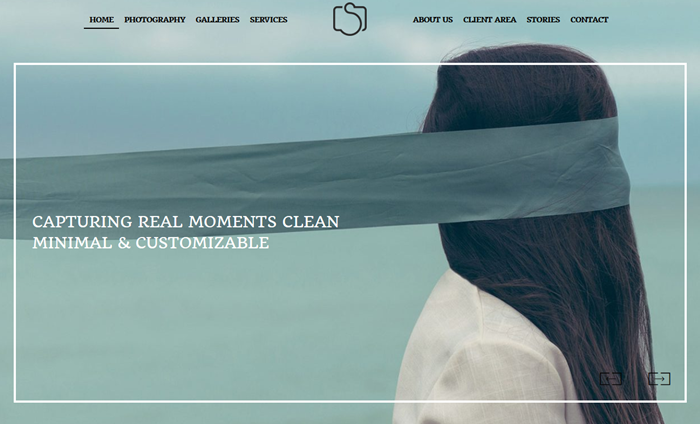 The theme comes with a lot of white space which is a big trend because it provides higher readability. 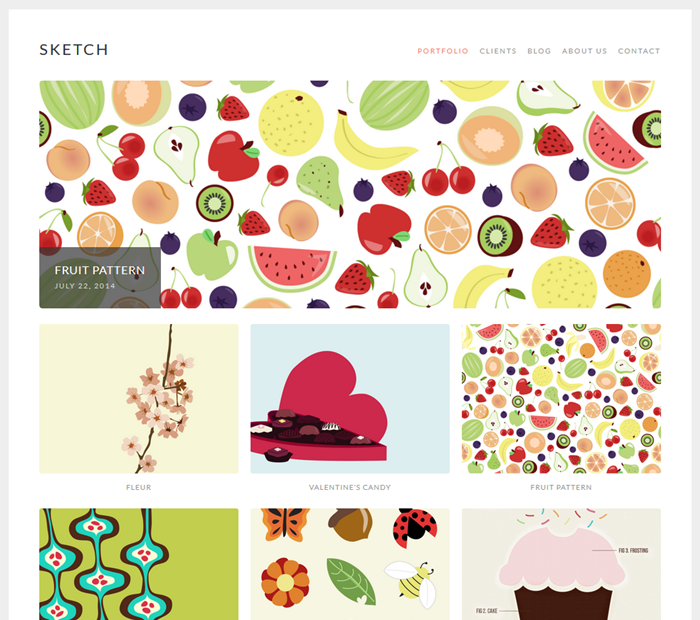 It’s perfect for artists, illustrators, designers, photographers, and other creatives. 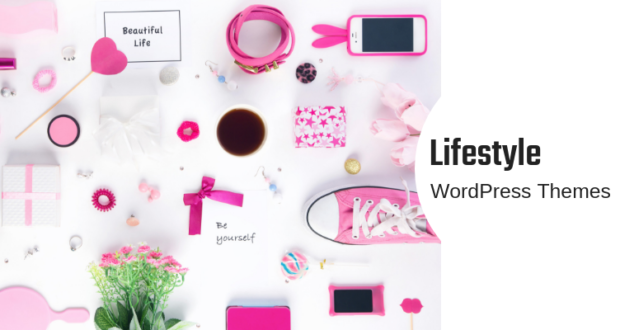 You are free to edit this theme quite quickly via visual WordPress Customizer, namely, you can update the logo, typography, colors, set custom background and custom header image without efforts. Hatch is simple and clean, it’s all you need to hold readers’ attention on all images at once. 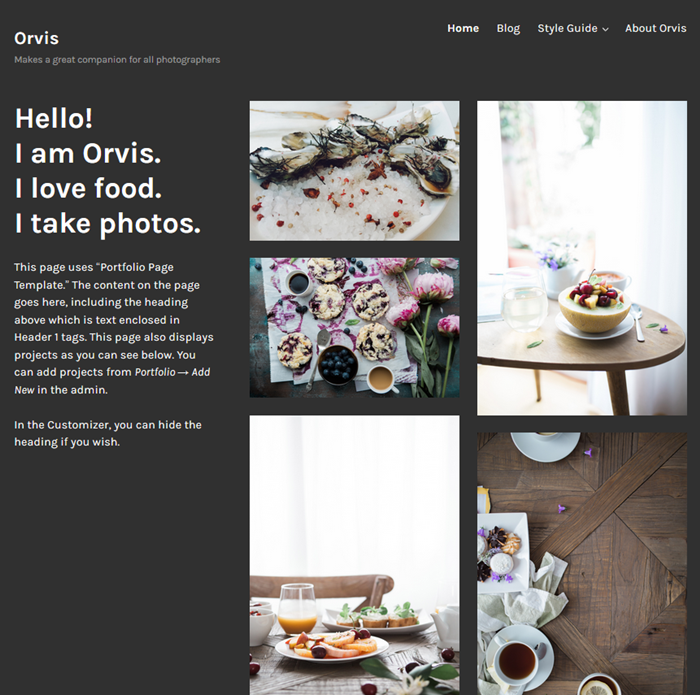 If you are familiar with a website of free stock images called Unsplash, then you’ll recognize this layout which is very similar. 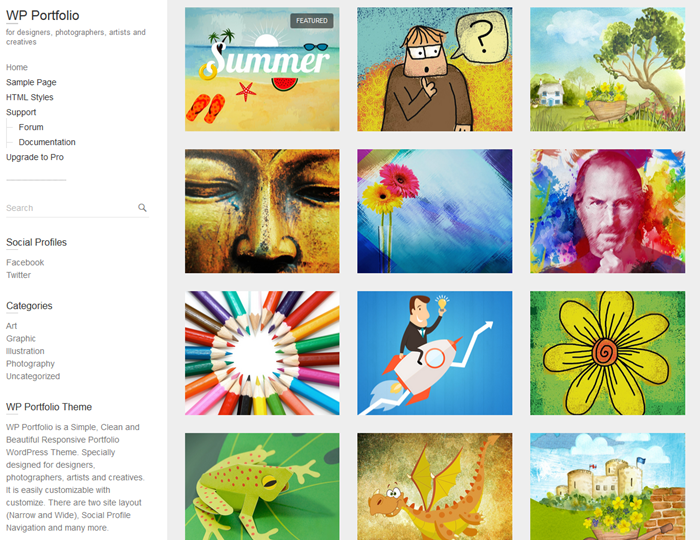 It’s a perfect theme if you want to showcase huge collection of your works and make the main focus on imagery. All the works can be previewed in a middle size, shared and downloaded. Each high-resolution image can be also displayed in full size. In addition, the theme is great for photoblogging as it can be used without sidebar complexity. 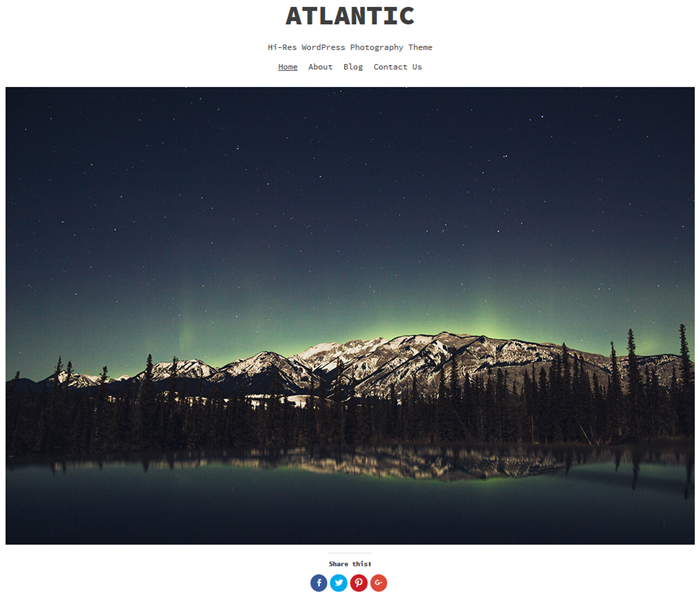 In Atlantic you can customize a logo, header, fonts and backgrounds to make the theme more personalized. The template users rated it with 5’s only. Hopefully, you managed to find something to your needs! Ann is a WordPress, open source, and folk music lover. She likes blogging and digging in marketing. Thanks for your suggestions, but in this post we made the main emphasis on portfolios for creative ideas.